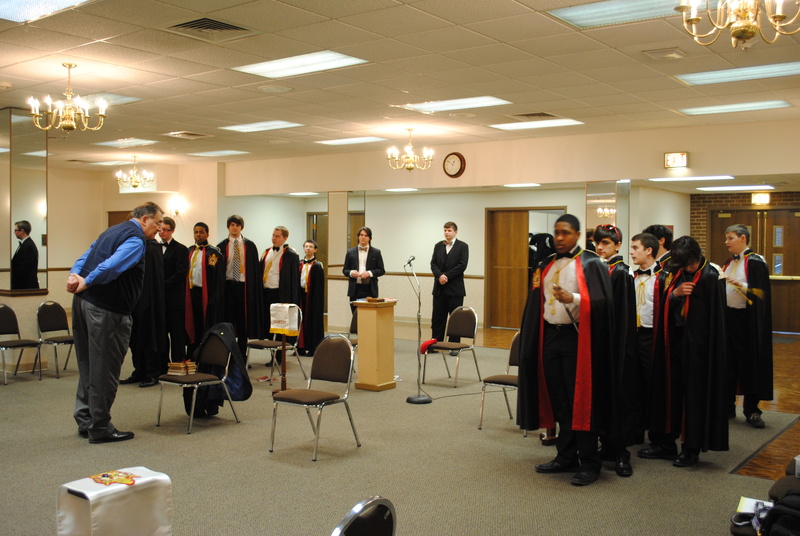 On Saturday, February 14th, the Scottish Rite Cathedral in Reading opened its doors to the 8th Annual Pennsylvania DeMolay Regional Patriots Class, sponsored by the Valley ofReading, Ancient Accepted Scottish Rite. The day-long program, under the supervision of Deputy Executive Officer “Dad” Ray Gottschall, III, of Reading, began with the arrival of the induction team members early on Saturday morning and concluded with a number of very special presentations in the late afternoon. The induction teams were made up of DeMolays from the following Chapters: Allentown, Carlisle, Chester Pike, Elizabethtown, Freedom, Friendship-Bray, Pilgrim, Reading and Westmoreland. State Master Councilor Isaac Holtzer, and several Pennsylvania DeMolay elected state officers, was on hand to help with the program. 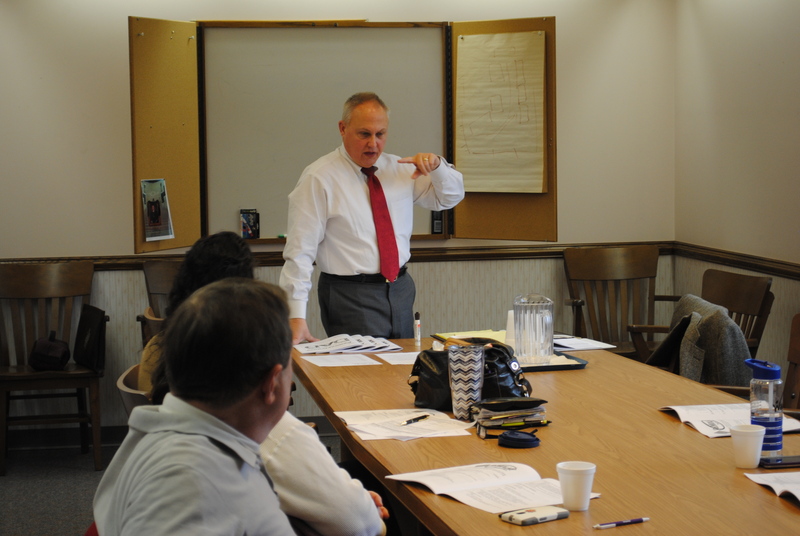 Also assisting were state officers from the Jurisdiction of New Jersey, headed by State Master Councilor Jordan Selby. Deputy Executive Officers “Dad” James Ray and Rick Freedman directed the Initiatory Degree and DeMolay Degree rehearsals, respectively. Chester Pike Chapter’s PMC and MC Alex Pittaro served as Master Councilor of the Initiatory Degree; Chester Pike Chapter’s PMC Andrew Santilli served as Master Councilor in the Fourth Section; and Carlisle Chapter members Jacob Otto and Aaron Muldowney were in the lead roles of Jacques DeMolay and Master Inquisitor for the first section of the DeMolay Degree, which was presented in full dramatic fashion on stage. The class of ten was comprised of new members from Allentown, Chester Pike, Friendship-Bray and Reading Chapters. 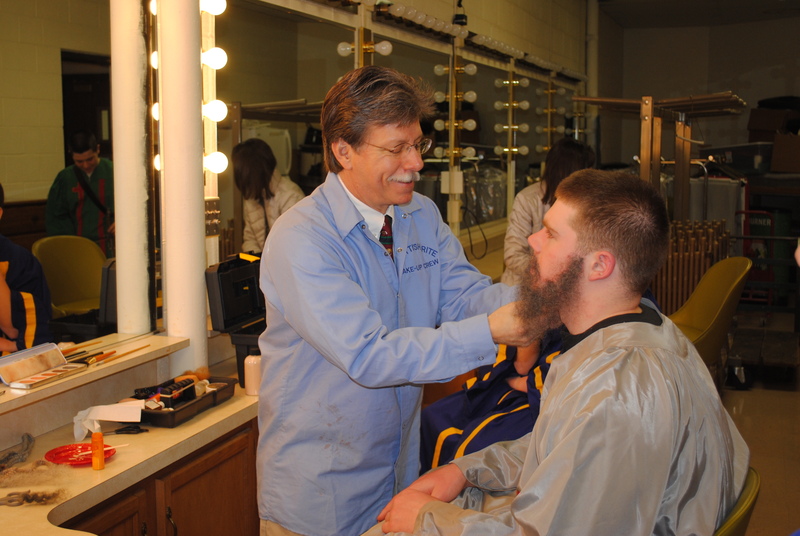 During the closing ceremonies each new member was presented with a commemorative certificate by State Master Councilor Holtzer, Illustrious Scottish Rite Deputy Russell Baker and Commander-in-Chief of the Valley of Reading William Tennant, Jr. “Dad” Baker also assisted Past Commander-in-Chief Herbert Swisher with make up for the cast of the DeMolay Degree. While rehearsals were going on in the morning and early afternoon, a class of 6 future advisors took the basic DeMolay Advisor Development (DAD) training as taught by Director of the Eastern Legion of Honor Conferral “Dad” Allen Moyer. 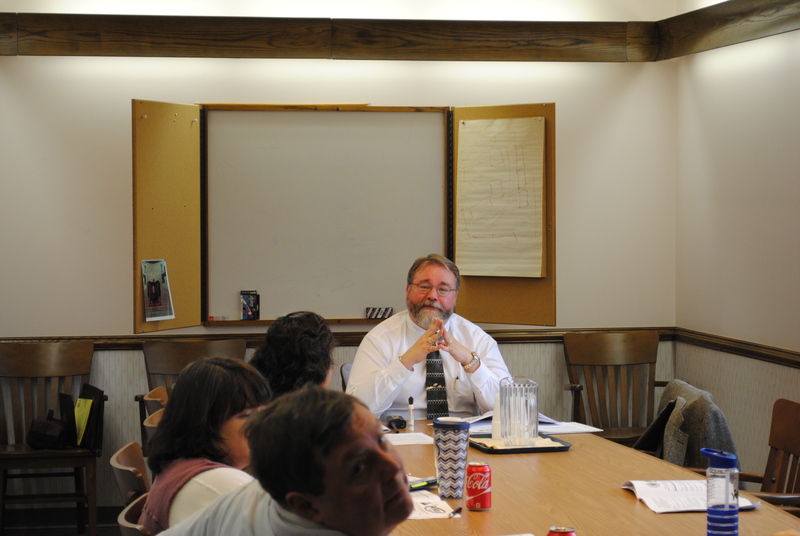 Following lunch, the candidates and their parents were welcomed by Deputy Executive Officer “Dad” Randy Knapp, who offered orientation on what would be incorporated into the induction ceremonies for the new members. 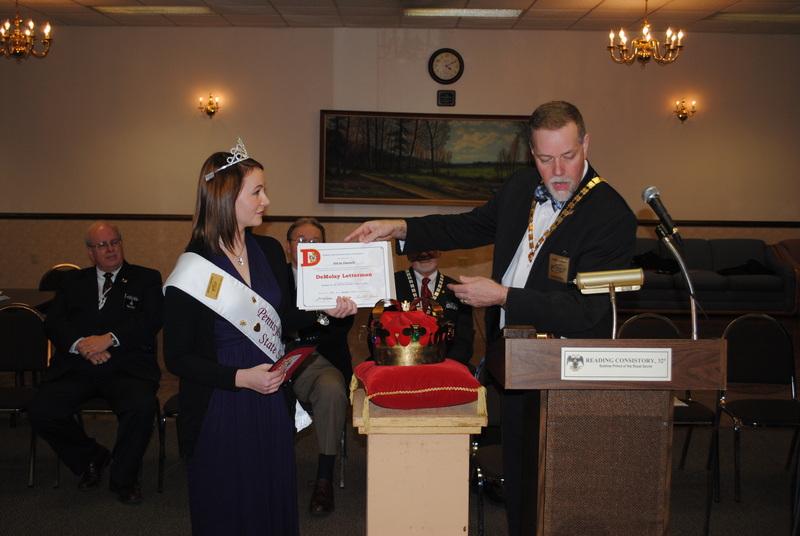 During the presentations at the end of the program, Executive Officer “Dad” Thomas Labagh presented State Sweetheart Alicia Daniels welcomed her into the DeMolay International Varsity Club and presented her the DeMolay International Letter, noting that she was the first person involved in Pennsylvania DeMolay to earn this well-deserved distinction. The DeMolay International Varsity Program has as its mission the creation of enthusiasm and fellowship for the organization as well as the opportunity for members, sweethearts and advisors to become active, engaged, and ultimately an owner of their chapter experience. 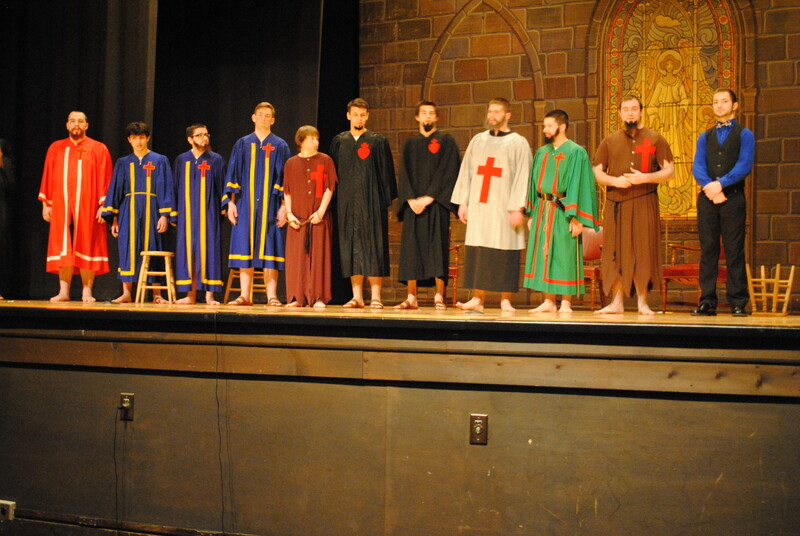 As an acknowledgment of their efforts they will be deemed to have lettered in DeMolay. Miss Daniels has been a devoted champion of the PA DeMolay State Charity, and has planned many innovative fundraisers that have brought in over $6,000.00 for the Children’s Dyslexia Centers of Pennsylvania. 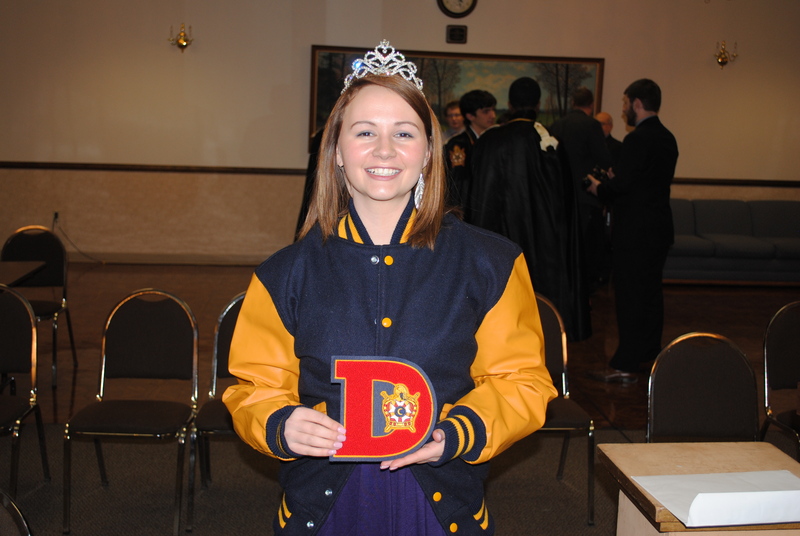 Miss Daniels is also the Chapter Sweetheart for Reading Chapter, and Chapter Advisor “Dad” Daniel Loughin presented her with her DeMolay Varsity Jacket on behalf of the Reading Chapter Advisory Council. This entry was posted in News and tagged DAD, Induction, Patriots, Reading, Scottish Rite. Bookmark the permalink.